From the moment I learned that I was pregnant, my values and ambitions for my life changed. Suddenly, the world wasn’t all about me, but the new little being growing inside of me. I loved this child from the moment I first suspected his existence. The most profound change was the tenderizing of my heart, which hasn’t changed to this day. I know that not all women feel this way. That handling a new baby can be very frightening. It is! But from the moment I laid eyes on my son, motherhood blossomed. I was possessive of his tiny form, protective. The most profound moment in my life was the moment he was born. It was the same for his brother and sister. This poem was written for all mother’s, in honor of those intimate moments we share, alone with our babies. It’s also for my son, Christopher. Looked upon His sleeping daughter. Safe and restful was her slumber. Not a sound would dare disrupt her. Angels kept their watchful duty. As He looked His heart was full of love. Filled the room with urgent mewing. Eagerly, her arms encased him. Cradling, most carefully, her son. Snuggling to his mother’s bosom. Drawing warmth from milk that soothed him. Satisfied, his tiny body calmed. Holding tightly, clinging to her. While he nursed she softly stroked his hands. In the future path this child would walk. She prayed that God would lead and guide him. Asked for heath and peace to find him. As the Father heard He sang a song. Filled the room, encamped around them. Settled gently on the girl and child. For this precious babe within her arms. His little mouth sucked slower now. With milk stained lips he gave a smile. His eyes were studying her face. Until his sleepy head began to nod. There came to them, the gift of peace. It wrapped around their earthly forms. It soothed her mind, it touched her soul. Again descended sweet and deep. When I was a teenager, my family left our home in Bay Village, Ohio, and moved to the city of Fort Wayne, Indiana. At the time, I was devastated by the move. 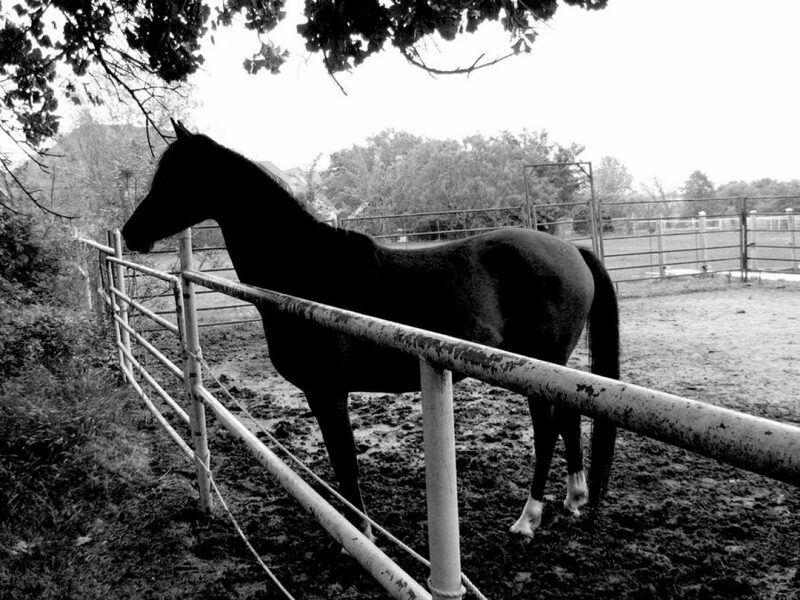 To ease my grief, my parents bought me my first horse, a mare named Missy. Missy and my involvement in and out of stage productions at Fort Wayne’s, Civic Theater, soon made my world busy and whole. Two years after the move, I met my husband, Jeff. Jeff spent most of his life living in a sweet ranch house situated on Cedar Shore Lake, in a town called, Leo, just north of Fort Wayne. When you walk into his parent’s house, you feel a sensation of peace, which I attribute to the view of the lake, seen through picturesque windows. For over sixty-years the lake has provided my family with multiple recreational activities. Everything from swimming, to canoeing, fishing and ice skating in the winters. As a family, we’ve shared many a meal at my in-law’s table. Everything from bar-be-ques to Mom’s Sunday after-church roasts. Then there were the ears of corn slathered in salted butter. Corn we had permission to cut from stalks growing in the field across the street. The walls of this house witnessed the ongoing transitions of seasons. The celebrations of numerous holidays and birthdays and family gatherings. They have heard us laugh until we cried and cry until we laughed. We women, who have married into this family of three boys, have spent the years listening to stories about our husband’s antics, as they grew from toddlers to men. I have particularly enjoyed the falling into the lake episodes, which have become a type of passage of right. My son, Andy is responsible for unexpectedly dumping his grandpa into the lake. This happened when Dad was preparing a rowboat to take Andy fishing and the boat pulled away from the dock uprooting Dad’s balance. For several years now, in the month of April, Jeff and I have flown his parents to our home in Texas in order to celebrate his mother’s birthday. We would take a day and drive through the Bluebonnet Trails, in the city of Ennis (see my blog entitled, Bluebonnet Trails of Texas). Mom loves flowers and has always enjoyed gardening. However, the work required to maintain her beds has now become too difficult for her to manage. So, last year, instead of bringing Mom and Dad to us, we traveled to them. To till and plant her flower beds as a gift she could enjoy for months to come. We took Andy’s son Aldon with us, who was seven at the time. Jeff and I felt a great deal of excitement as we entered the Dallas, Fort Worth airport with Aldon in tow, who was clutching an Avenger backpack stuffed with activities bought at the Dollar Store. Since he is our only grandson and will carry on the family name, I felt it was important to introduce him to his Indiana roots. To give him the opportunity to see the people and places that are so dear to us. While establishing his own memories of where his Great-Grandma and Grandpa, called Grandma and Grandpa Kissell, live. Mom and Dad greeted us at the Fort Wayne airport. Minutes later, we were in their car heading toward Leo. As soon as we hit the road, the scenery became familiar. I began to feel that haunting, nostalgic tug, that is generated from a life once lived in a place long left. For me it was a happy life filled with the normal ups and downs. Extraordinarily, un-extraordinary, but so full of love. Fort Wayne is where I spent the last traces of my youth, the firstfruits of my early, adult life. Fifteen years had passed since my last visit. As I gazed upon the landscape, the homes, buildings, nooks and crannies, memories, like ancient ruins hidden for centuries under layers of earth and settled dust, suddenly came to light. Everywhere I looked there were traces of the girl I once was. Reminders of my childhood dreams, my most urgent ambitions. Most of those dreams never came to fruition. My life took unexpected twists and turns. But as I held my grandson’s hand, I knew that God’s plan for my life had been a better plan, more fruitful. And so, pushing the bittersweet aside, I began pointing out landmarks to Aldon, giving him brief recaps on the importance of each place. He saw the first house Jeff and I bought, where his Uncle Chris was born. He saw places where his grandpa and I used to work. The theater that occupied my devotion. We passed my parent’s old house, my house as a teenager and where I once boarded my beloved horse. I told him stories about the many times I rode Missy to my house. How, she loved to play in a plastic wading pool and without blinking an eye, tried to walk through our front door into the foyer. Sadly, all of the pastures and corn fields where I used to ride are now housing additions. Still, I saw glimpses of the land as it once was. Aldon saw the church where Jeff and I were married. A church that his Grandma and Grandpa Kissell helped to establish and still worship in today. We passed through an Amish community. Watching horses drawing black buggies, smelling the familiar wafting’s from homesteads raising pigs. Finally, we pulled into Mom and Dad’s street, then into their drive. It’s amazing how we’re prone to overlook everyday happenings that take place in our lives. Simplistic, silly little details we don’t think twice about. I thought of this as we entered the house, pulling our luggage behind us, letting the screen door slam in our wake. It was a sound Jeff and I knew well—the slamming of the screen door. I could hear Dad calling, “Don’t let the door slam shut!” even though this time he never uttered a word. It was good to know that Aldon was now privy to the springy sound as well, if not his grandpa’s scolding. The next morning Jeff, Aldon and I rose early, ate breakfast and headed outside to begin our work in the garden. Dad rummaged through the garage looking for the tools we needed. There were leaves to rake from the beds, weeds to pull and soil to till. I set about raking leaves first, with Aldon’s help. He would work enthusiastically at first, giving the task his full attention, before losing all interest. At such moments, Dad took him under his wing, keeping him busy sorting through the mysteries of the garage for fishing equipment. Finding the fishing equipment took a bit of time. Several years had passed since a perspective fisherman had visited. I was on my hands and knees, tilling the soil, when Aldon ran up to me shouting that they needed worms. Handing him a shovel, I told him to help me dig for some. He enjoyed this until several minutes later our efforts produced not a single worm. Dropping the shovel, he ran back to the garage to tell Grandpa Kissell. Fortunately, I had found a few by the time Dad and Aldon emerged from the garage carrying Dad’s tackle box. Sitting the box on a bench next to where I was working, Dad opened it. To me, the stinky, rusty old box held nothing remotely interesting. But Aldon stared at the contents as if he’d found treasure. It was a trove of fishing gear accumulated over countless years. He was particularly interested in the plastic baits bearing sharp hooks. Dad retrieved a pole. Checking the line, he attached a hook, shaking his head no to Aldon’s plea, “Can I do it?” Next, was the task of attaching a worm to the hook. First of all, Aldon didn’t want to touch the worms, let alone put one through a hook. Dad’s urging that he at least try made Aldon burst into tears, leaving Dad befuddled. It took a bit of assurance on my part to calm Aldon down. It seemed he didn’t want to get his hands dirty, when in truth, I think he felt compassion for the worm. That all ended after he caught his first fish! His hoop for joy startled me, causing me to look up from pulling weeds. He was on the dock, holding the pole in the air with one hand, and the line with the wiggling fish on the end, in the other. He ran to me to show me his catch. Dad removed the fish from the hook, putting it in a pail of lake water. Leaning over the pail with his hands on his knees, Aldon watched the fish swim around the pail. A moment later, he was back on the dock catching one fish after another. At one point I heard a great deal of commotion followed by yelling. Looking up I discovered Aldon had fallen in the lake! He was wading toward dry ground, clearly unhappy. His flip-flops had fallen off from his feet when he fell. They bopped on the water’s surface, buoyant. He snatched them and emerged from the lake crying, holding his arms out at his sides, mad as a wet hen. Throwing his flip-flops to the ground, he slipped his feet into them. Walking across the yard stiff-legged, like Frankenstein. As I watched him I couldn’t help but laugh! He looked so much like Andy when he fell in the lake. Andy cried too. My laughter increased Aldon’s anger, which made him raise his cry to a wailing pitch. Dad was befuddled by my mirth too and asked why I was laughing at him? “Because it’s funny,” I answered, and it was. There’s something wonderfully freeing about being a grandparent versus parenting. I’ve learned not to sweat the small stuff and see humor in more things. Taking Aldon into my arms, I congratulated him on his passage of rite. Explaining that he was in good company since his father and Baboo (Jeff), had all fallen in the lake too. That falling in the lake was a Kissell tradition, particularly for boys and he had joined the team. This appeased his anger. He let me lead him to the garage, where I helped him undress, listening to him complain about the muddy bottom of the lake oozing through his toes. He was sure the fish had been biting at his legs too, although upon examination there were no marks to prove his theory. Wrapping him in a beach towel, we went into the house for clean, dry clothes. I helped him put them on, realizing that my days helping him with tasks like these are numbered. I towel dried his hair and washed his hands. I made him lunch and gave him a couple of Grandma Kissell’s homemade, chocolate chip cookies, a staple in Mom’s house whenever anyone visits. We went back outside just as Jeff appeared carrying flats of flowers. Apparently, they were hard to find. April in Fort Wayne isn’t really a good month for planting because of the hovering threat of more snow. So, places like Lowe’s don’t stock their stores with many flowers until closer to May. I began to plant the flowers, sending Jeff back to the store for mulch and fresh pebbles to lay around the bench. Aldon watched as Grandpa Kissell release the fish he had caught back into the lake. A few minutes later, he was at my side looking over my shoulder. “I thought I was supposed to help you!” I laid the flowers out across the bed, showing him where I wanted them planted. Then I taught him how carefully place the flowers in the ground. He was a natural at this and as we worked, we sang songs. One of them Jingle Bells, which we’ve been singing since he was a tiny, little guy. We talked about the importance of our work, creating a pretty gift for his Great-Grandma to enjoy. We talked about his daddy when he was a little boy and how he used to visit Grandma and Grandpa in the summers. I told him about the Amish and the sights we would see the next day. We slept soundly that night, even though at some point he crawled into bed, snuggling between Jeff and me. The next day we drove to the small town of Grabill. Every piece of landscape, new to Aldon, familiar to me. We passed homes that I used to drive by wishing someday I could own. I was surprised to discover, that even though I’ve been blessed with many beautiful homes, that same longing came to me. It’s the quaintness of the place, the land it is set on. I’ve always been drawn to old farmhouses. Places in the country with history and spaciousness, where you can run a horse across a field long distances. The town of Grabill is nestled in Cedar Creek Township. It is home to a thriving Amish community. Before we met, Jeff and I each had established individual roots within Grabill. So, as we passed by the landmarks, we were lost in more individual memories than mutual. Jeff grew up in the area, attending school just blocks away from the town’s central businesses. My first job was at the Grabill granary. It was also where I bought my horse’s feed. At the time, I used an Amish man as my farrier. My dad and I would pick him up at his farm off Schwartz Road and transport him to the barn. When he was finished shoeing my mare, we drove back to his house to retrieve his wife and four children and take them out for ice cream. They were a family of lumberjacks. Generous, kindhearted people, who gave me buggy rides and tours of their homes. The interiors were exquisite, full of handcrafted woodwork and furniture. They were immaculately clean, polished from top to bottom. Even then I appreciated the work involved. They all had small buildings, built close to, but detached from, the main house. These buildings were kitchens, where the women cooked their hot meals, such as roasts, during the warmer months. We drove past several Amish farms before parking in front of Grabill’s country shops. I was thrilled to see that my favorite stores were still in business. Dad and Jeff entertained Aldon, so I could browse through an antique mall. Afterward, we ate at the Grabill Inn, another one of our family traditions. The highlight of the day was taking Aldon to visit where Grandpa Kissell works—Leo Builder’s Supply. Dad, now in his nineties, repairs vintage machinery. Machinery that distributors no longer make parts for. Seeing Dad’s workspace was a first for me too, and I must say, impressive. The next day was our last. We went to church at the Cedar Creek Church of Christ. Mom and Dad showed off Aldon why Jeff and I looked around the old place. The church had tripled in size since we were married in it during the nineteen seventies. It was a shock to discover that the old sanctuary had been reconstructed. Divided into separate spaces, it was unrecognizable. Nor did we know many of the people attending the church. Only a handful really, seniors like us who had been young when we were young. After church we enjoyed a leisurely lunch, then headed back to the house. Mom, Dad and Jeff fell asleep, while Aldon and I ventured outside. Years ago, we used to walk around the lake after a big meal. Now, I had no desire to attempt such exertion. Instead, I sat on the bench in the backyard watching Aldon play. Marveling at the way he can pick up a stick and by will of his imagination, turn it into anything he wants. At the moment, it was an Avenger phaser. He ran around the yard shooting at bad guys, hiding behind Mom and Dad’s stately trees, with trunks big enough to conceal him. I took in the view. Feasting my eyes on sights that looked the same as when Jeff and I first became a couple. Seeing phantom images, decades of children, playing in the yard, swimming in the lake, ice skating in the winter and driving snowmobiles over the snowclad rock-solid ground. I saw my husband as a little boy, playing in the woods to my right, and the maze of corn that used to grow across the street. Throughout the years I’ve thought fondly of the Indiana festivals we used to attend. I’ve longed to taste a glass of chilled, freshly pressed, Indiana, apple cider. That opportunity could only happen in the fall and, most likely, I’ll never set my eyes on an Indiana Autumn again. Suddenly, my thoughts were interrupted by Jeff’s voice, calling Aldon and me inside. It was time to get ready for dinner. We were taking Dad’s sister, Aunt Janice, to one of her favorite restaurants, Hall’s Gas House. The Gas House is located directly behind Fort Wayne’s Civic Theater. We parked in the parking lot and as I got out of the car, I had to pause and allow myself a moment to stare past the railroad tracks to Civic’s back entrances into the greenroom. I know the inside of that theater well. My parents moved to Fort Wayne right after it was built. Other than my mare, it was my salvation at the time. In my mind I heard the whispering of the wind that blows up and down the concrete stairwells leading from the greenroom, to the rehearsal halls upstairs. I could see the mirrored dressing rooms and comforting black ambiance from the wings backstage. I spent hours in those wings. Watching scenes on stage, waiting for the cues to my own entrances, sometimes bone tired, sometimes enthralled. Our costumes used to be made and stored in the theater’s basement. Racks upon racks of gorgeous costumes tailored specifically for each actor, many of them—mine. They say that traces of every performance given in a place, still lingers within the corridors and halls. I believe this is true, for a performance, is the heart and soul of the performer. Back in the day, the Gas House was the place where actors hung out after long hours of rehearsals, or to wind down after a performance. I wasn’t able to join my fellow cast members for many years, because I was just a kid. But I bet Civic’s actors still hangout at Hall’s today! My memories were interrupted by Aldon, “Come on Abi,” he urged me, “It’s time to eat!” In a flash, memories of my days at Civic vanished. My youth, once again, dissolved. My grandson had pulled me back to the present. Shooting one last glance at the stage doors, I saw myself, an apparition of a young girl with waist-length blonde hair, harboring big dreams. I wish that girl knew then, what she knows now. How rich and wonderful her journey in life would be. Eventually leading to the adorable little guy standing at my side. “Abi, come on!” he slipped his hand in mine. I looped my free arm through Aunt Janice’s elbow. Together the three of us walk into the steakhouse, another Fort Wayne landmark I’m grateful my grandson has come to know. It’s happen to us before! My husband and I will be going about our everyday lives, filled with restful pauses and quiet evenings, then BAM! Captain America turns our world upside down! Mind you, we anticipate these invasions with great joy, planning ahead the things we will do. Sometimes Cap morphs into the Hulk, filling our house with roars and grunts, Hulk smashing the furniture and floors. Last summer, he was the Flash, running through the house at top speed, slicing his hands in the air. This Avenger Invasion is fueled by his father’s love for the Marvel characters. His grandfather joined in, downloading an app for his cell phone, which allows Jarvis, from the Iron Man movies, to inform him when he gets a call. My husband outfits our Avenger with grandpa and grandson matching shirts that they wear when hitting the bike trails. They go on long rides (last summer 20 miles in one trek! ), stopping at restaurants along the trail for a drink and rest. He informed me last fall that he was tired of getting only Avenger toys for Christmas and would like Santa (yes, he still believes) to include a few Star Wars toys. So, we bought him a BB-8 bike helmet, along with Star Wars knee and elbow pads. The pads he no longer wants to wear. Our Avenger sleeps in a Spider-man tent bed when he visits. I set-up a small table by his bed for a flashlight and Minion thermos of water because he gets thirsty at night. For all his tough boy habits, he has a bunny nightlight, because he grew-up with it in his Texas room and still finds it comforting. When he wakes-up in the morning, he crawls in bed to cuddle. I hold him tight, putting up with his “morning breath” because I know these tender, little boy moments are numbered. He’s growing-up so fast. He loves the horses and is fearless around them from the time he could focus his eyes. As always, he’s been begging me to ride. We haven’t yet but will before the weekend. What we have done, is spend Easter Sunday at Six Flags, eating nachos and cotton candy, riding our favorite roller coaster over and over, in between the Antique Cars. He can drive the Antique Cars and likes for me to sit in the backseat. I impressed him this year by going on the Superman ride. Monday, we colored Easter eggs. He played while I did some baking. Yesterday we worked in the garden. He loves to dig in the soil. Today we’ll visit the horses, brush them and turn them out. I understand that my future holds a rousing game of Candy Land. He claims that he’ll win, but I replied “I don’t think so!” Tonight, we plan to swim at the YMCA while his grandpa plays racquetball. We’ll take home dinner. His spring break from school is ending too soon. Saturday we’ll send him home on a plane. He much prefers riding a plane then enduring the ten-hour car ride it takes to get to his house in Mississippi. Once our Avenger leaves, our house will settle. My heart will ache because my love for him is so strong. I’ll busy myself, wiping away the dust, washing floors and fingerprints, scrubbing his bathroom clean and packing-up his toys. But there is a shining light! He’s returning this summer and it all begins again.